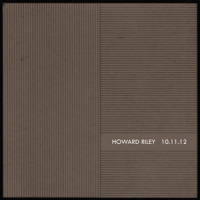 This archival issue should further bolster British pianist Howard Riley's place among the top rank. 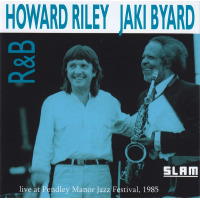 Riley first came to prominence with the advent of his pioneering trio with bassist Barry Guy and various drummers including Tony Oxley, which extended yet further the egalitarian template first established by Bill Evans and Paul Bley. However Live In the USA is a forward looking outing in the unaccompanied format Riley has made his own throughout a career which has seen more than fifteen solo dates released. 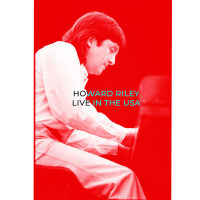 Riley lived in the US during the winter of 1976/77, and as he explains in the liners, it was during this spell that he started to develop his solo playing with a reconsideration of more orthodox approach. The 74-minute program comprises four selections culled from three dates, both live and in the studio, from that time. The lengthy pieces, which vary between 13 and 25 minutes, crest in a dense hyperspeed stream, as Riley explores a similar range of ideas with ferocious focus, stamina and technical facility. 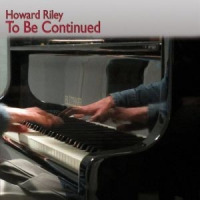 "Blocks" begins with stuttered dampened notes and string resonances, and a rattling intro, all elements which persist in Riley's playing, and can still be heard on The Complete Short Stories (NoBusiness, 2011) and Constant Change (NoBusiness, 2017). Thereafter he shifts into rapid-fire lines in a rolling bass. 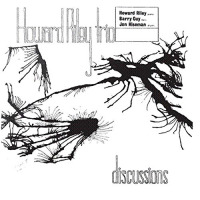 There's an uncanny resemblance to Cecil Taylor in the cascade of clipped figures, the call and response between registers, and the repeated phrases which provide the seed for the next phrase in a relentlessly unfurling tapestry. Indeed if the attention slips while listening, one could easily be fooled into thinking that a forgotten Taylor masterpiece has mysteriously appeared in the CD player. It begs the question of whether this is imitation, homage or what biologists term convergent evolution. At this time Taylor was a far from obvious role model, having recorded only one widely available album, Silent Tongues (Arista Freedom, 1975), since 1966, so there was little commercial benefit to be derived from emulation. Nonetheless, anyone aspiring to forge an individual voice on the piano would need to respond to the challenge Taylor's work represented. It's hard to think of any other pianists who recall Taylor so strongly, even now, let alone then, although Alexander von Schlippenbach and Yosuke Yamashita are plausible candidates. 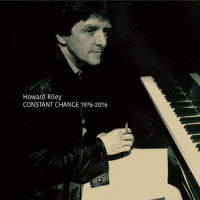 Certainly the Taylor influence was still evident in Riley's work in 1980, as apparent by a session from Debrecen in Hungary, included on Constant Change, but had been all but assimilated by 1983 as evidenced by a later session from the same album. "Big City" starts with jangling dissonances before quickly resolving into a cavalcade of terse motifs one after the other, as like Taylor he favors energy and intensity over swing. But the reiterated strikes in the left hand are all Riley, as are the stately hymn-like chords at the close. "Tolerance" is a particular highlight, delivering the illusion of multiple brains at work as Riley unleashes a blizzard of notes and sweeping glissandos, against which certain discrete accents shine out in stark relief. This was obviously a period of flux for Riley, but regardless of the inspiration, these are bravura performances. Track Listing: Blocks; Big City; Flower Street; Tolerance.